Considering a career as a dentist? We may be biased, but the team at our dental office in Austin thinks it’s the best job you could have. Dentists, dental assistants, and dental hygienists are an important part of a total healthcare team, and are crucial to keeping patients healthy. Not only that, but they can also be responsible for transforming smiles and giving people a confidence boost which affects their lives as a whole. 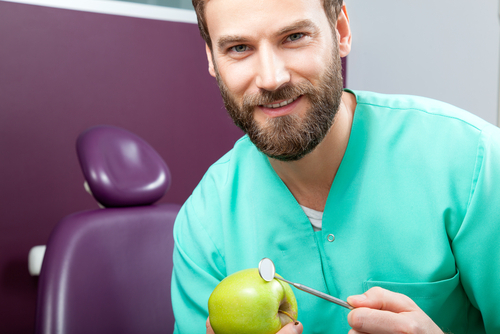 If you’d like to experience the rewarding feeling we get each and every day, dentistry may be right for you. Will You Enjoy Being a Dentist? Before we go into the specific steps on how someone becomes a dentist, it’s important to discuss the qualities and interests one should possess in order to be happy in this field. First, an interest and excellence in the sciences is recommended. Dentistry and the courses required to become a dentist are highly science focused, so it’s crucial to have an organic attraction to science. Second, dentistry is also incredibly artistic, so you should be good with your hands and be incredibly dexterous. Lastly, you should have a desire to help people — both in terms of health and beauty. After you’re able to identify that the basic, underlying characteristics of being a dentist interest you, you can start to outline the steps you need to take to become a dentist. Complete Your Bachelor’s Degree. While you can get your Bachelor’s in anything, you’ll be one step ahead if you focus on biology, chemistry, physiology, and other sciences. Score Well on the DAT. Following undergraduate school, you’ll need to take the Dental Acceptance Test and score well to be considered for dental school. Go to Dental School. Typically, dental school lasts four years and includes a combination of classes and clinical work. Take Your Board Exams. Before you can practice dentistry, you’ll need to pass the National Board Dental Examinations as well as any other requirements necessary for the state you wish to practice in. While the job hunt is always a daunting task no matter which industry you decide to enter, there’s some good news about the rising need of dentists from the U.S. Bureau of Labor Statistics. Job availability is projected to grow at 18% through 2024, more than double the average growth for other careers. If you’re seriously considering a career as a dentist, our Austin dental office recommends that you perform research on what dentists do and what your job environment could look like to see if it’s something that will make you happy. Welcoming patients from Austin, Southwest Austin, Driftwood, Oak Hill and beyond.